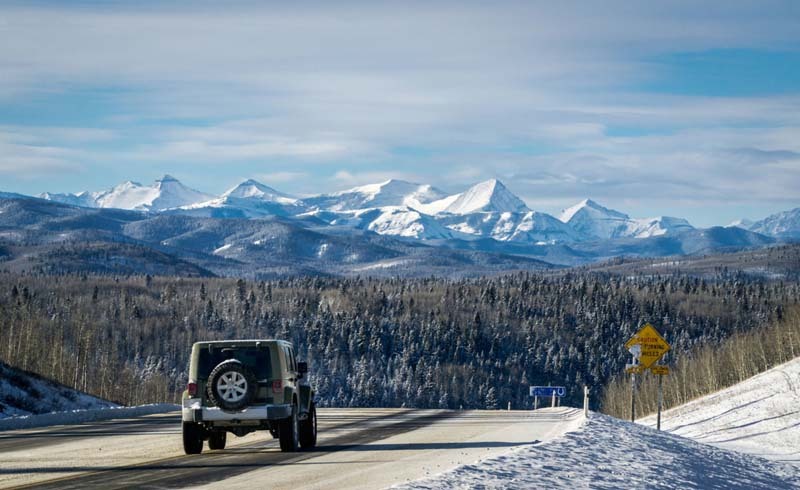 Before heading off to the slopes or another wintery destination, here’s what you need to do to make sure your vehicle is ready and your bags are adequately packed for a winter road trip. Experienced travelers know that winter offers some of the coolest outdoor activities. But before racing off to hit the slopes or explore a glacier, take a moment to do the responsible thing and prepare with the winter road trip essentials. You don’t want to miss out on that skiing adventure because your car wasn’t winterized! 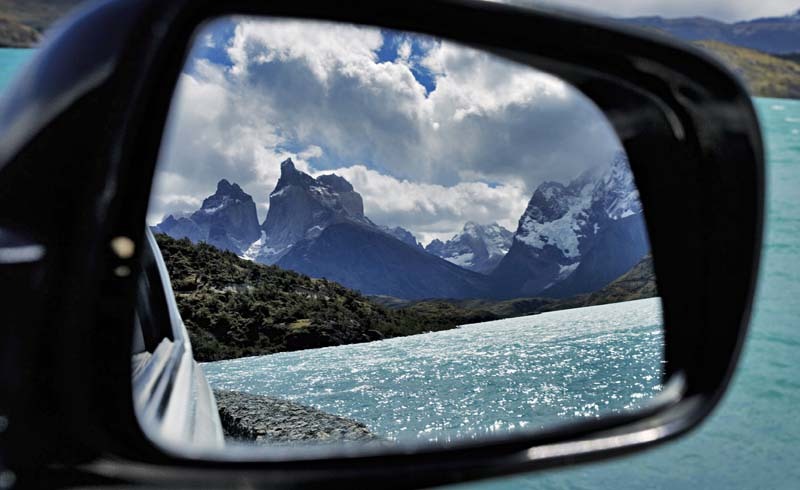 Being ready for a winter vacation or road trip means getting your vehicle tuned up, packing everything you might need, and researching your destination to avoid surprises. Read on for more winter road trip tips! It’s never fun to think about worst-case scenarios, like being stuck in a snowstorm in a disabled car. But safety has to be your number one priority in the winter. Then you can worry about planning the fun stuff. Beyond getting a tune-up, as you would before any road trip, make sure to have a winter-ready vehicle. That means having winter tires and snow chains, topping off all your engine fluids, and bringing essentials like jumper cables, an ice scraper, and a shovel. There’s nothing worse than being caught in a snow or rain storm with poor windshield wipers, so install new wipers and have plenty of spare wiper fluid, too. If there’s a chance of running into snow on the roads, you should have a four-wheel drive (4WD) or all-wheel drive (AWD) vehicle. Either can be suitable for winter driving, but AWD typically provides better handling and traction on snowy and icy roads, so for most winter destinations, driving an AWD vehicle would be ideal. No matter what kind of car or truck you drive, bring snow chains and know how to use them. And be cautious when driving! Take your time, keep a safe distance from other vehicles, and slow down when conditions warrant it. Get a full tune-up to check brakes and battery, replace filters, and top off all fluids. Have a spare tire, jumper cables, ice scraper, and shovel. Install new windshield wipers and bring plenty of extra wiper fluid. Have snow tires or chains. Be sure tires are properly pressurized. Bring rock salt or sand in case your tires become stuck. Drive cautiously in bad conditions. What should you bring on a winter trip to stay safe in challenging conditions? You’ll want to have all the basic road trip necessities, such as a first aid kit, food and water, flashlight, and chargers for your electronic devices. In addition to your phone and GPS, bring printed maps, since those modern devices may not work if you’re heading to a remote area. Having some basic winter survival skills will help, too. Beyond that, bring blankets such as the Cat Nap Blanket to stay warm in case of emergency. Bring plenty of heavy clothing, including sweaters, coats, gloves, hats, snow boots, scarves, and thermal shirts and underwear. Use a massive trunk that will hold lots of puffy jackets and winter gear. And to ensure you have space for your adventure gear and your safety essentials, compress and store your clothes with an compressions cubes and large compression sacs. Make Sure Your Destination is Accessible! Don’t forget to consider the weather forecast. No matter how adventurous you are, if there’s a major winter storm with heavy snow coming, it may be worth making alternate plans or adjusting your departure time to avoid the worst of the storm. Finally, before planning a winter road trip, make sure your destinations will be open! That may sound like a no-brainer, but many of the best national parks close some of their entrances and main roads during the winter. So if you haven’t done your homework, you may find yourself showing up to Yosemite with an awesome, winter-ready vehicle, only to find that you can’t drive to Glacier Point because the road is closed. Snow chains won’t help you on roads that aren’t open, so be prepared!